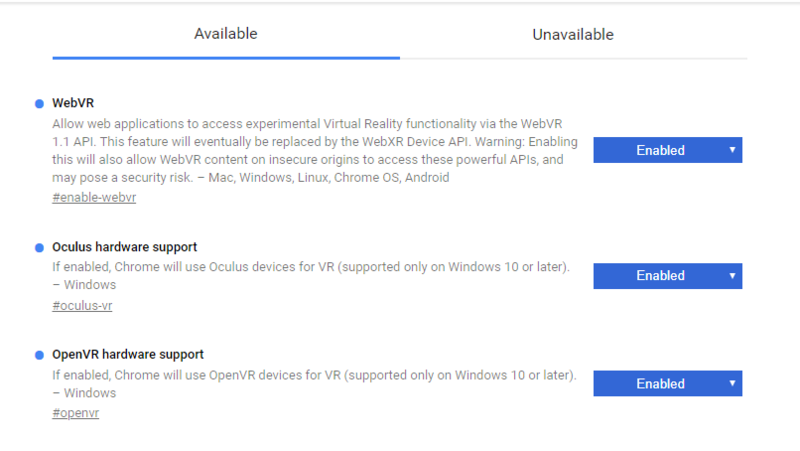 Although initial WebVR integration has been a part of beta versions of Chrome for about two years now on Android, the company has finally brought its WebVR functionality to the browser’s stable branch, at least for PC VR users running Windows 10. First reported by The Verge highlighting the work of eagle-eyed Redditors this past week, the option is simple to turn on in Chrome for Window 10. Type in ‘chrome://flags‘ into the URL bar and toggle VR hardware support. Oculus users can simply toggle ‘Oculus hardware support’ to bypass the need for SteamVR. WebVR is a set of APIs designed to power browser-based VR experiences. Available across several web browsers including Supermedium, Samsung Internet, and Mozilla Firefox, WebVR essentially delivers portable applications to VR headsets via the web with the emphasis on easy content consumption. I recommend https://webvr.directory for a list of sites to try with Chrome VR. We’ve tested all the sites there and ensure they work well in VR especially with 6DoF. Also has a much greater selection (~60 curated, hundreds to search from). 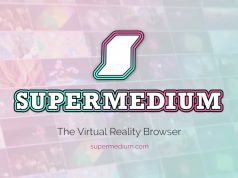 Also, we’re the developers of the Supermedium browser listed above (available Steam/Oculus). Lets you browse all the VR sites without leaving the headset or fiddling with configs. I made a sample #VR enabled website using #360video content on #Viar . check it out. How to I ACTUALLY use this on my RIft? Let’s say I have my headset on and the controllers in my hands: How to I use/activate anything to do with this whole webVR thing? Activated all the stuff in the browser, but no idea how to actually make it use my HMD when I go to VR sites. It just displays the content on my monitor. Seems others here are similarly confused. -> maybe a good topic for another article/guide…?? Will the PSVR also be compatible with this stuff? If so, will it actually read the head tracking?